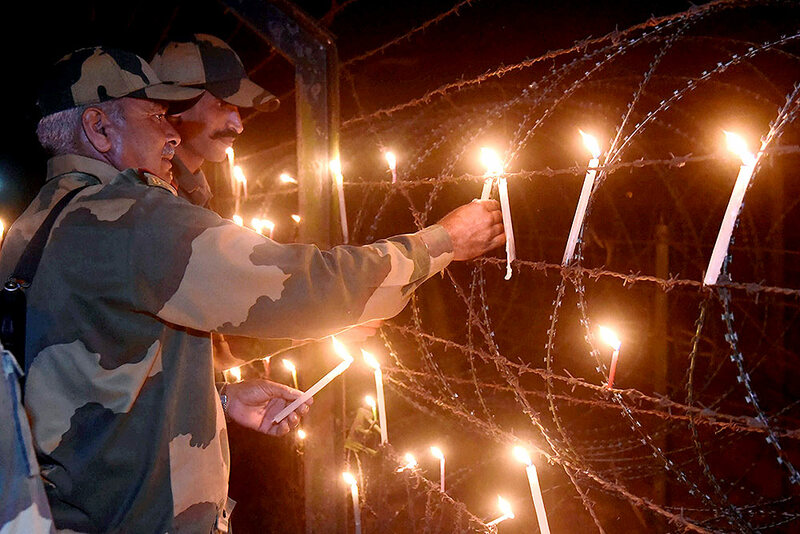 People light earthen lamps for soldiers on the occasion of 'Diwali' festival at Ravi Shankar Shukla Stadium, in Jabalpur. 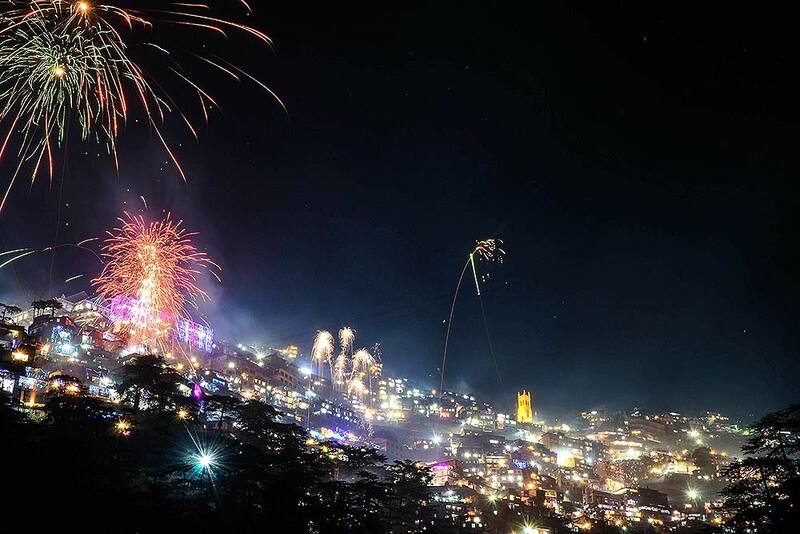 Fireworks light the sky during 'Diwali' celebrations at Hills Queen, in Shimla. 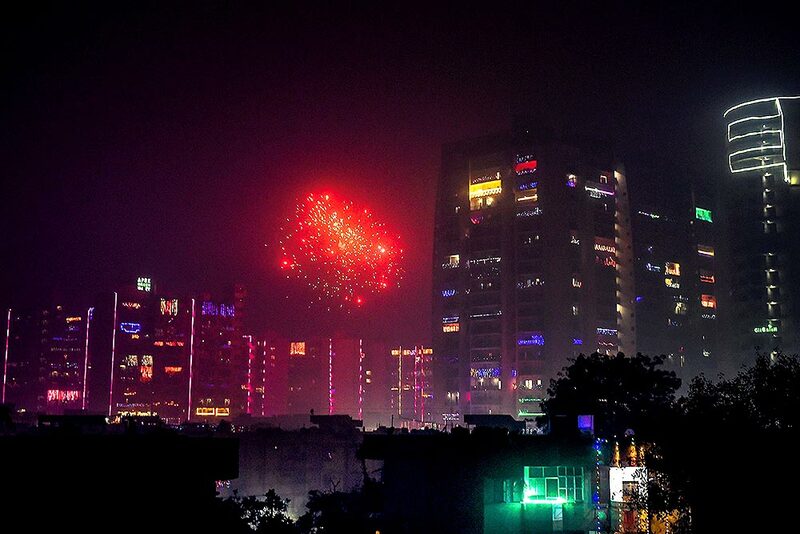 Fireworks light the sky during 'Diwali' celebrations, at Vaishali, Ghaziabad. 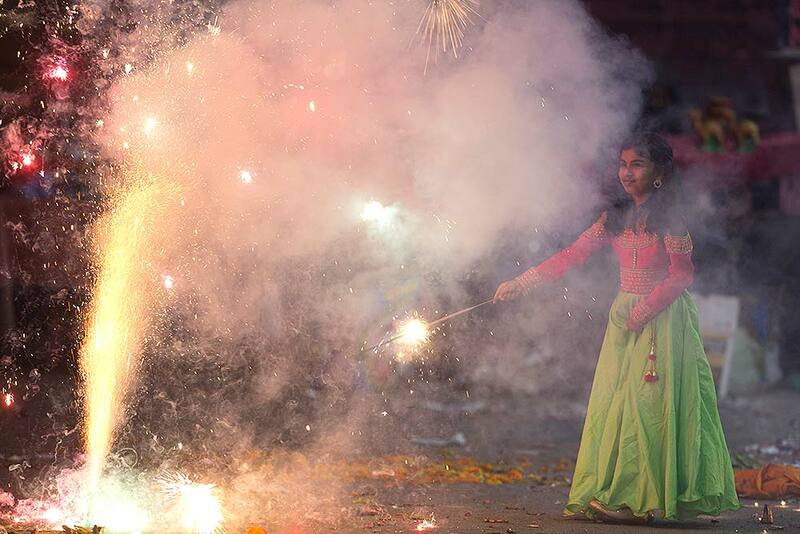 A girl lights fire crackers as she celebrates Diwali, the festival of lights in Hyderabad. 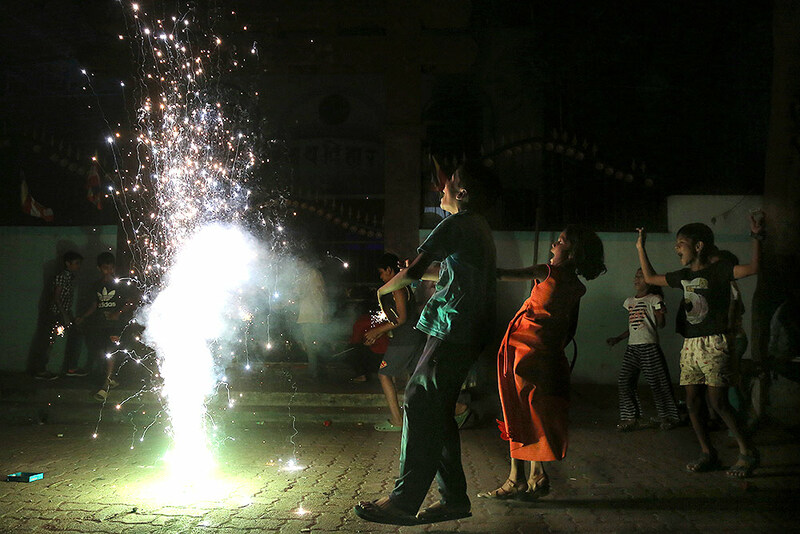 Families gather together to celebrate the traditional Diwali festival, with fireworks, in Allahabad. 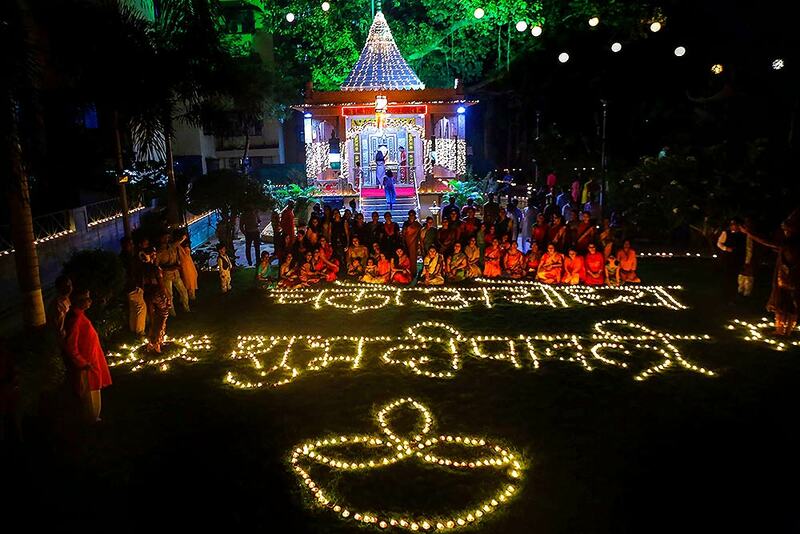 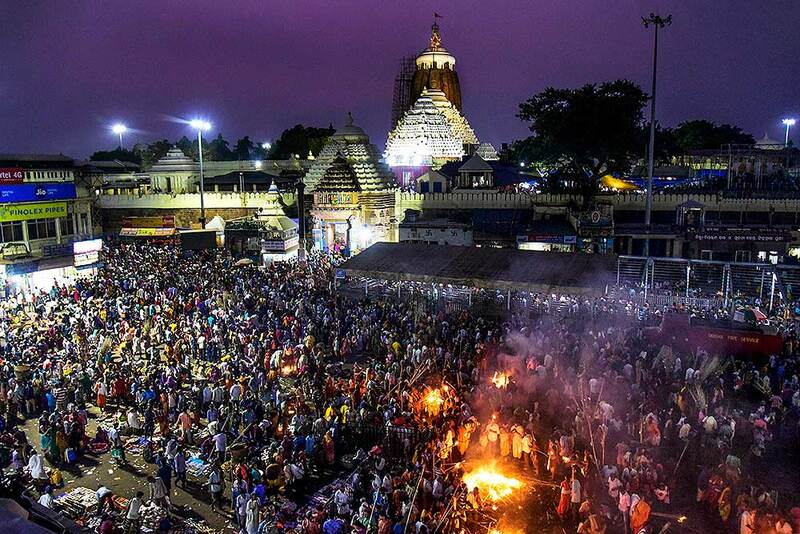 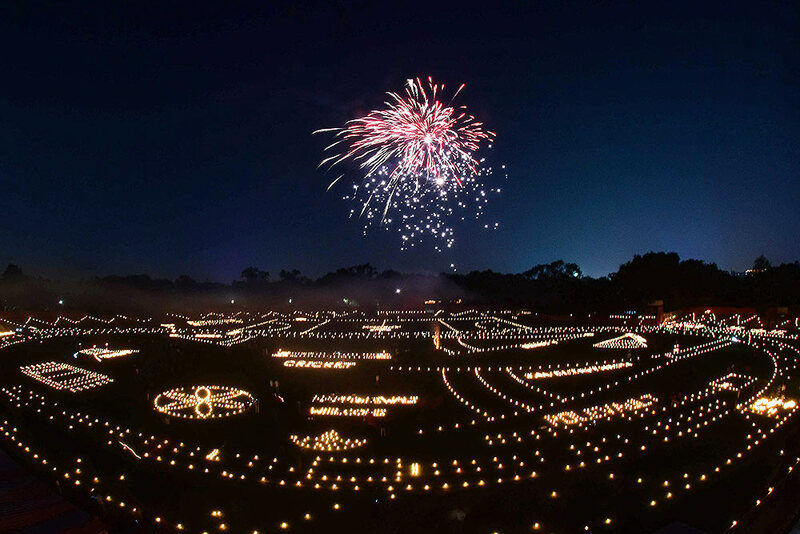 Diwali, the festival of lights, is one of Hinduism's most important festivals dedicated to the worship of Lakshmi, the Hindu goddess of wealth. 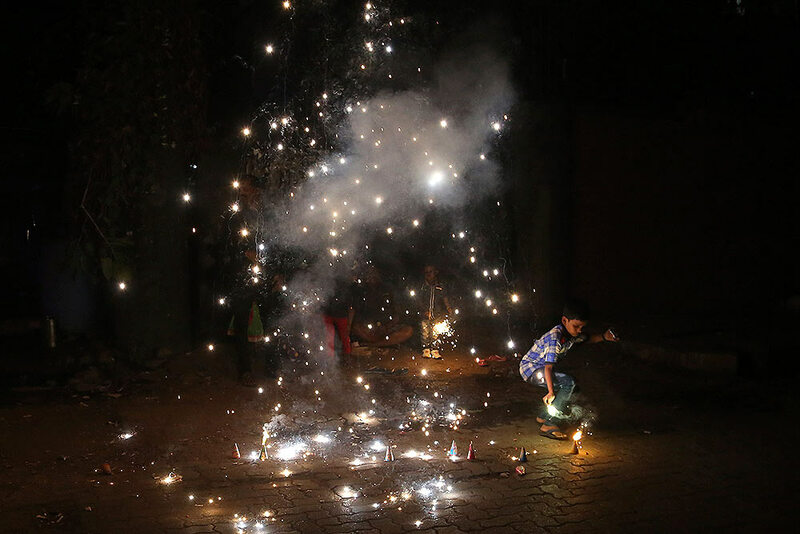 A boy play with firecrackers to celebrate Diwali in Allahabad. 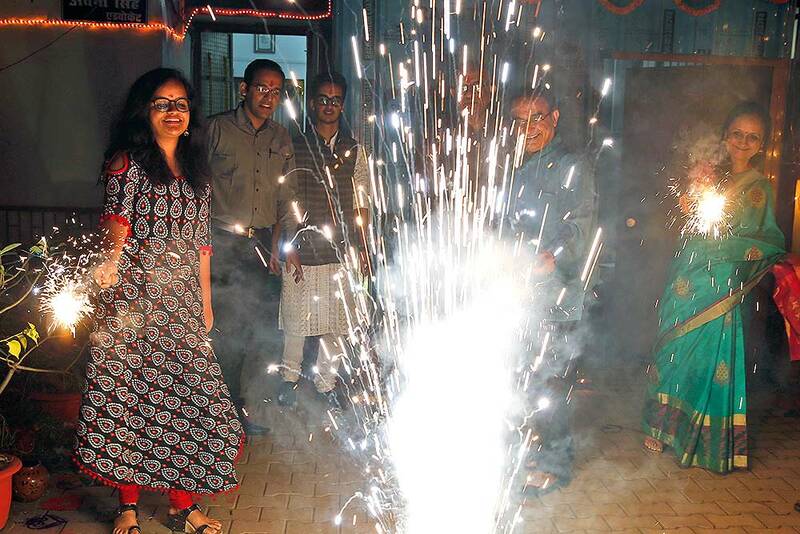 Smoke rises as people burn crackers during 'Diwali' celebrations, in Gurugram. 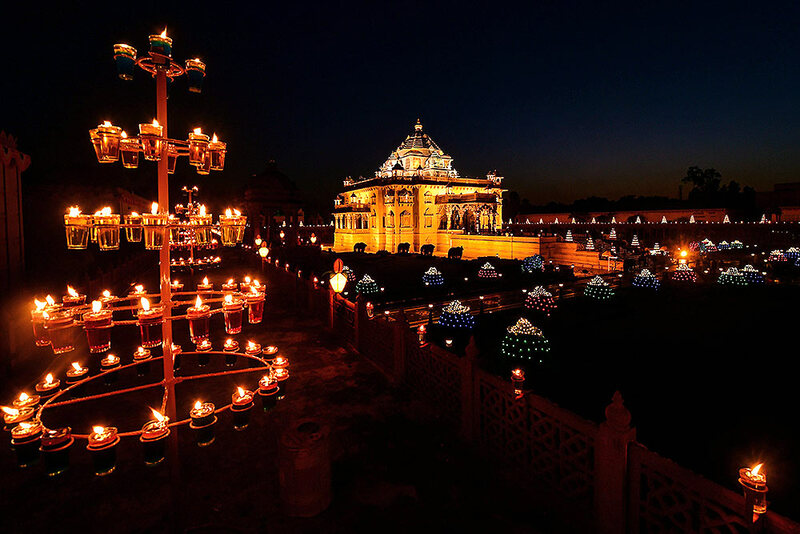 An illuminated Akshardham Temple on the occasion of Diwali festival, in Gandhinagar. Young players light candles and firecrackers at a Madan Mohan Malaviya stadium on the eve of Diwali festival, in Allahabad. 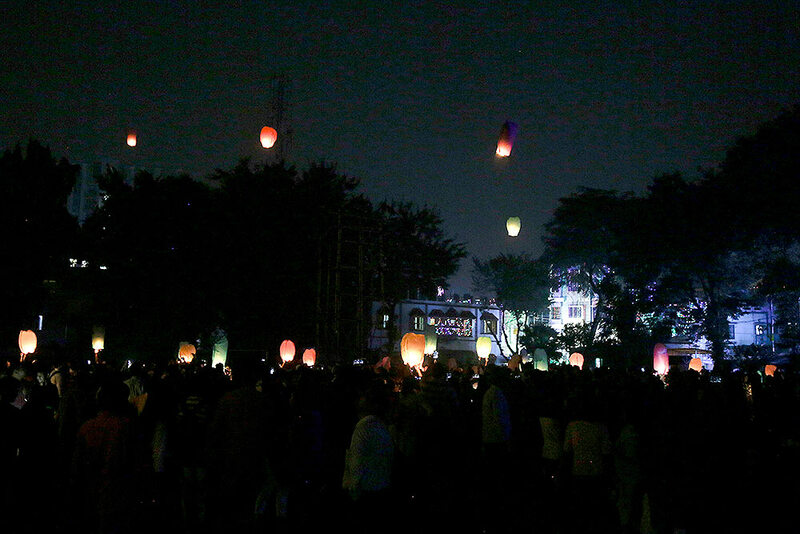 People fly sky lanterns as they celebrate the festival Diwali, the festival of lights in Kolkata. 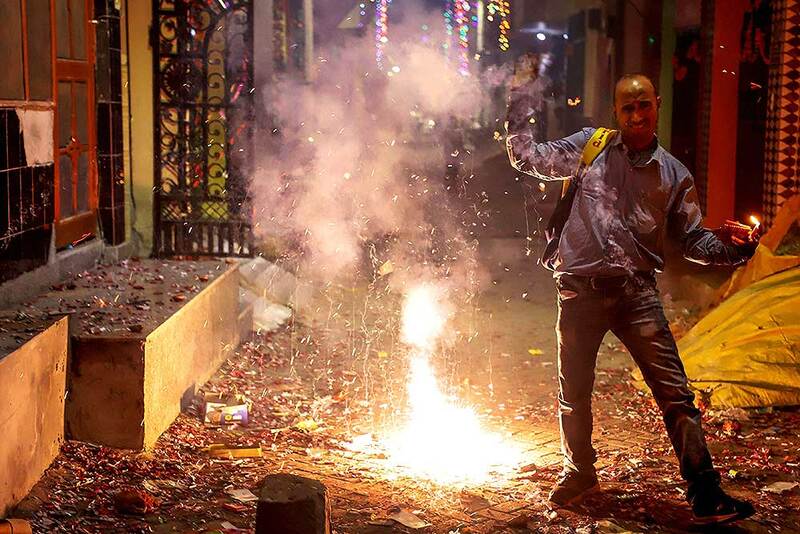 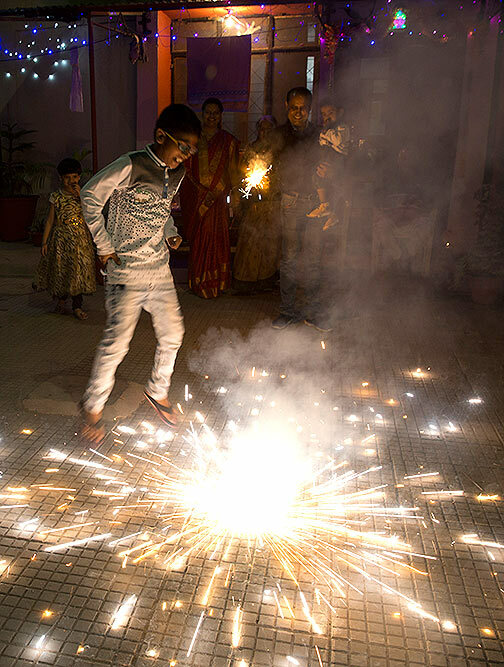 A boy lights fire crackers as he celebrates Diwali, the festival of lights in Mumbai. 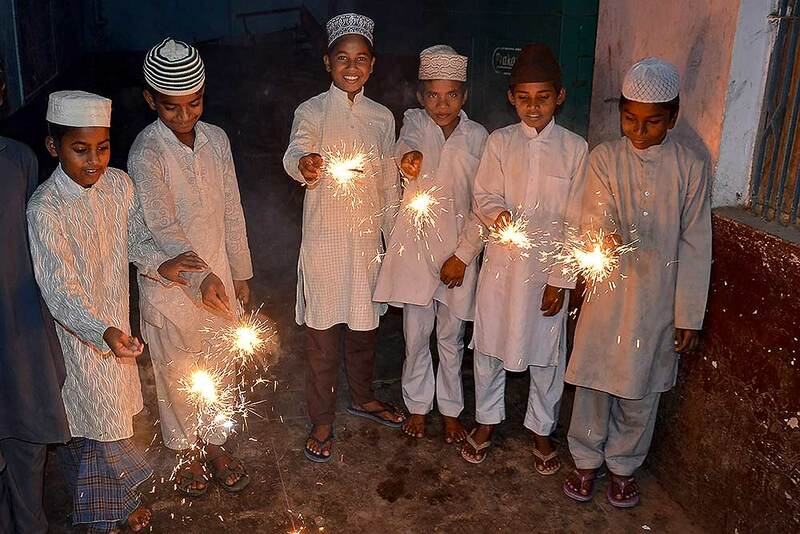 A group of children light fire crackers as they celebrate Diwali, the festival of lights in Mumbai. 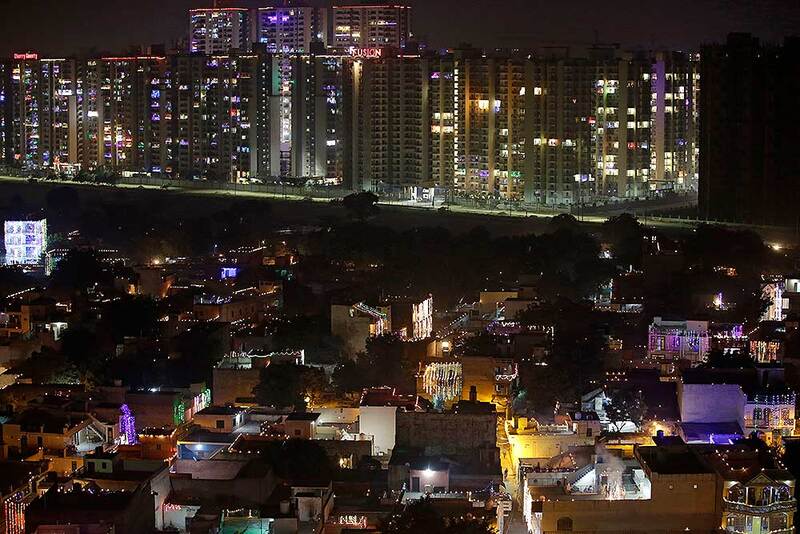 Residential buildings are decorated with colorful lights, as a firecracker lights up, during Diwali festival on the outskirts of New Delhi. 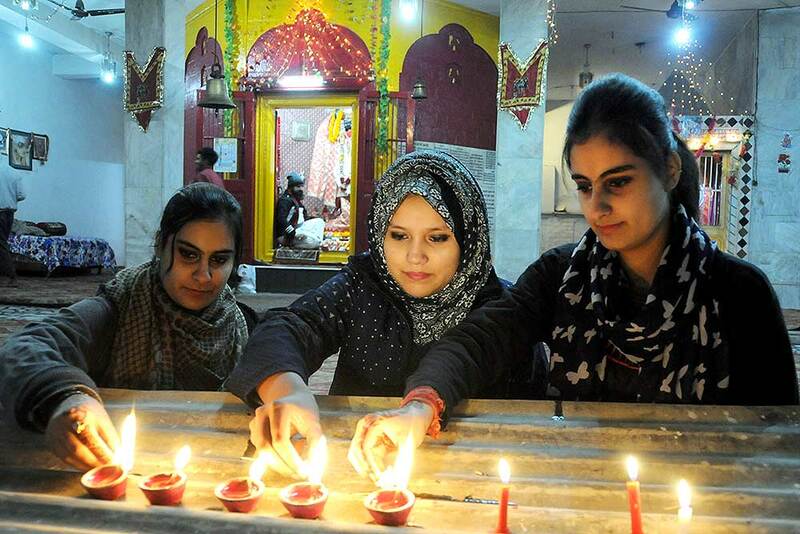 Kashmiri girls burning earthen lamps and candles during Diwali celebrations, at Hanuman Mandir in Srinagar. 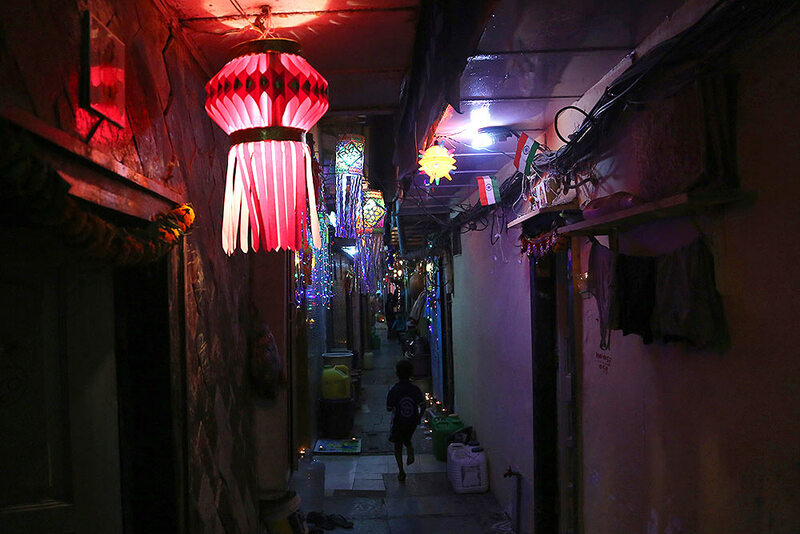 A boy runs through a lane decorated with lanterns during Diwali, the festival of lights in Mumbai. 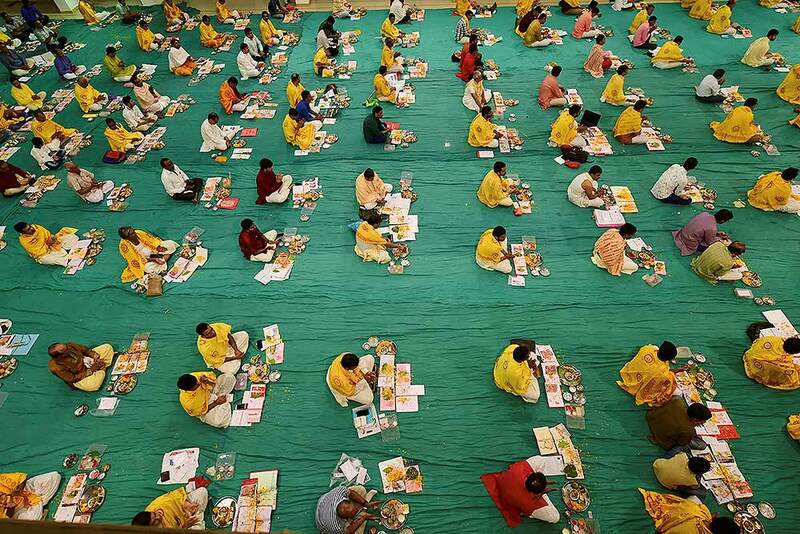 Indian Hindu businessmen performs a ritual in the 'Chopda Pujan' (the worshipping of account books) during Diwali at Swaminarayan Temple in Ahmedabad. 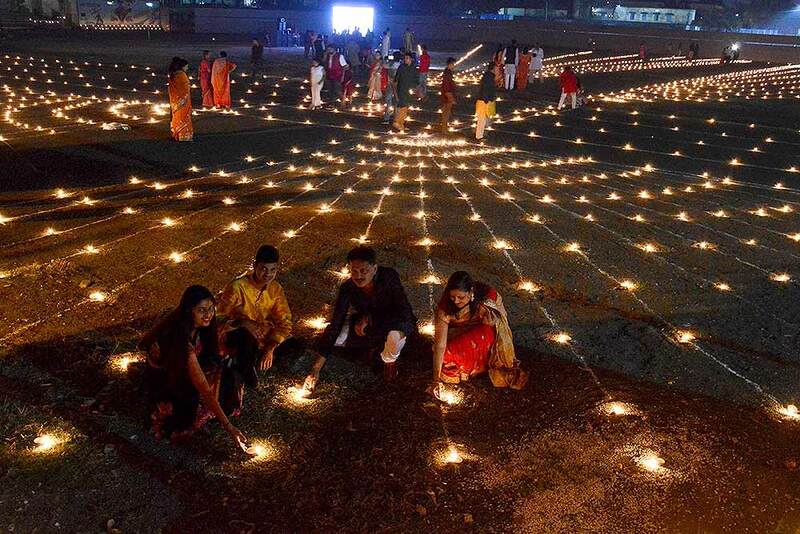 People during the Narak Chaturdashi at kashish park in Thane. 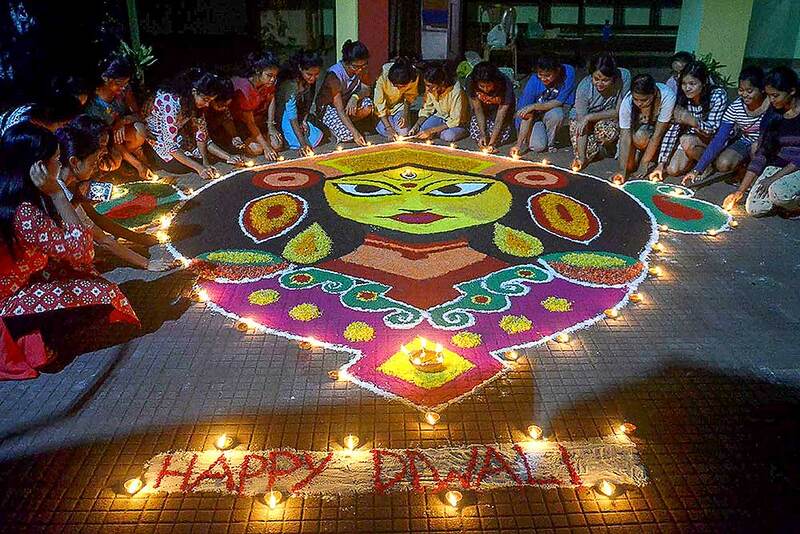 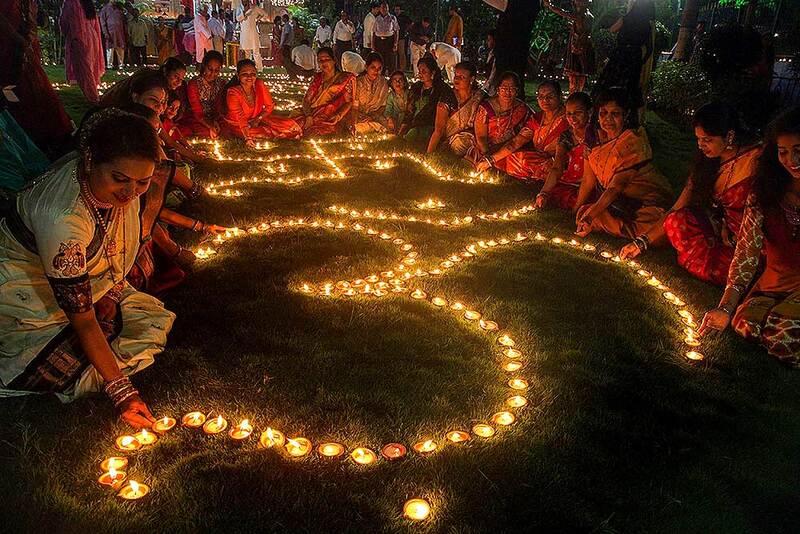 Students create a rongoli to celebrate Diwali festival in Guwahati. 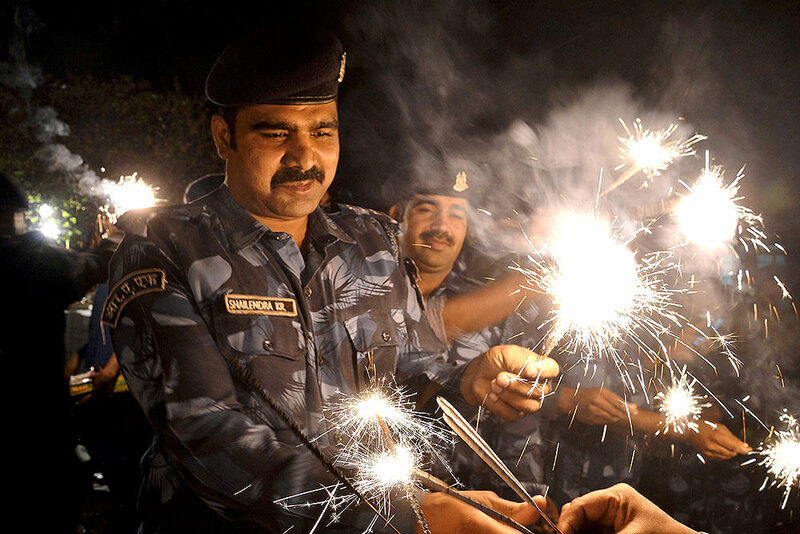 RAF (Rapid Action Force) jawans celebrating Diwali festival in Jabalpur. 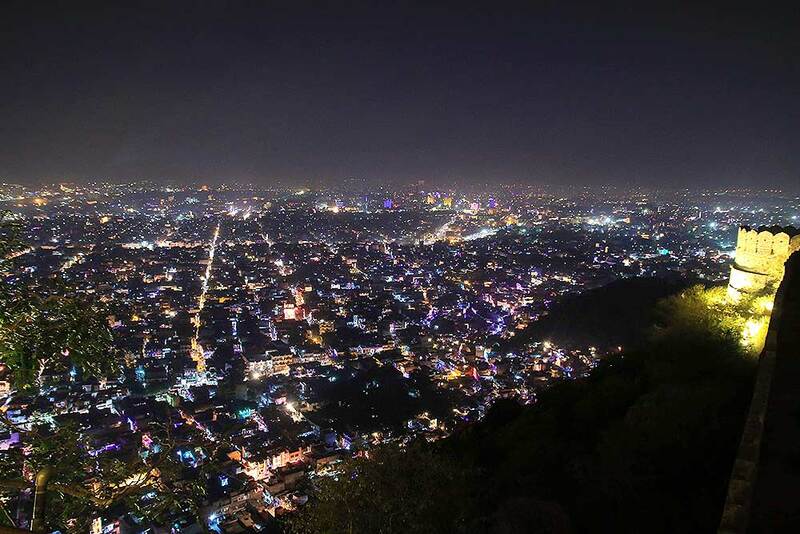 A view of the Jaipur city from the Nahargarh Fort on the occasion of Diwali festival in Jaipur. 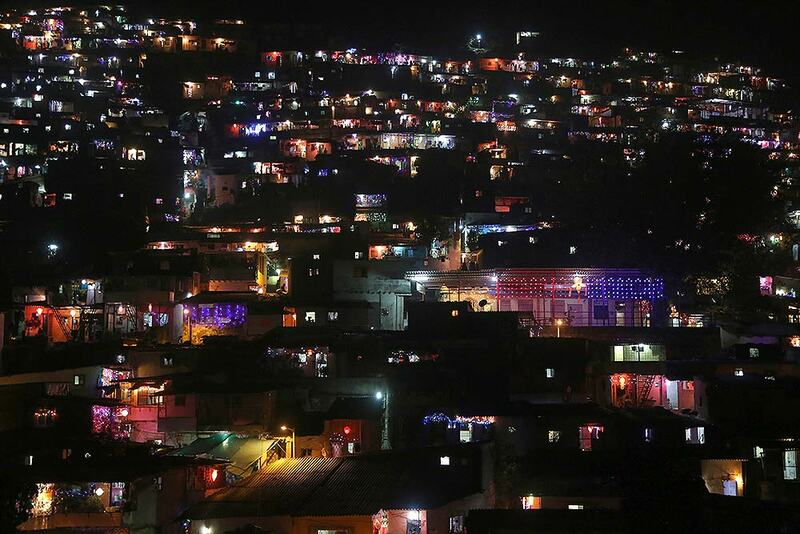 A slum colony is decorated with lanterns and lights as they celebrate the festival Diwali Mumbai.